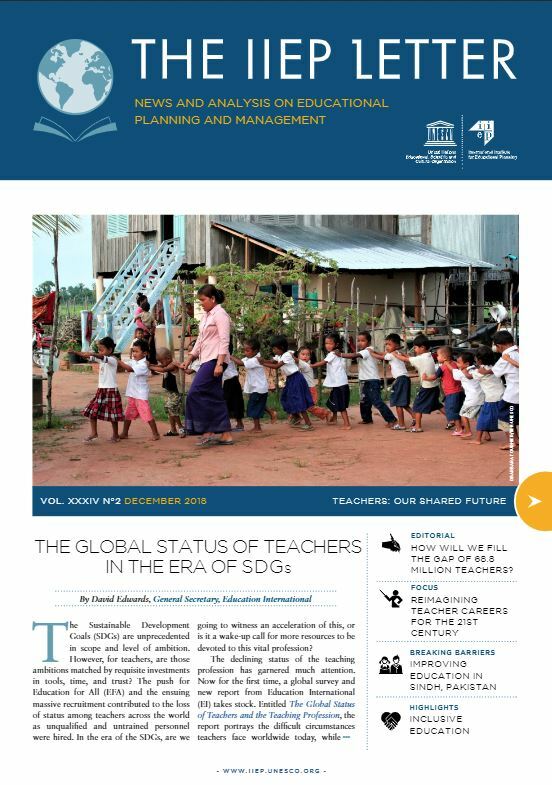 By 2030, the world will need to recruit and train 68.8 million teachers to meet the Sustainable Development Goal of quality universal education at the primary and secondary level (SDG 4). In some countries, this will mean that more than half of all university graduates will have to choose teaching as a career. However, many young people today are shunning the profession amid growing headlines in all regions of the world reporting poor conditions, low pay, and few prospects for career advancement. Read the latest issue of the IIEP Letter for new ideas from around the world on how to reinvigorate this vital profession.